How did you come to work at Mainmark? I joined Mainmark in 1991 after Australia had been hit by the Newcastle earthquake. 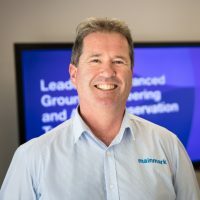 By that time, Mainmark had developed a reputation as an industry innovator and leader in the specialised area of seismic remediation and was actively involved in the Newcastle rebuild. This period was a particularly interesting time for me as Mainmark designed, built and implemented equipment and technologies that were considered very new at the time. These included solutions for ground improvement, seismic strengthening, structure repair and remediation, as well as a number of infrastructure and heritage projects; the Newcastle University, Courthouse and Civic Theatre, and numerous council buildings, heritage sites and churches. Another project that I was involved in during this time was Sydney’s Paddy’s Market, where Mainmark strengthened the building’s façade with thousands of metres of epoxy injection. Resin injection was a break-through for Mainmark. How has New Zealand embraced the concept since it was introduced? Over the past 20 years Mainmark has continued to develop and improve numerous solutions to address ground improvement and structural level correction. This includes the launch of Mainmark’s new proprietary Teretek® engineered resin solution. Today, Mainmark is considered an industry leader in resin injection solutions in the Southern Hemisphere. 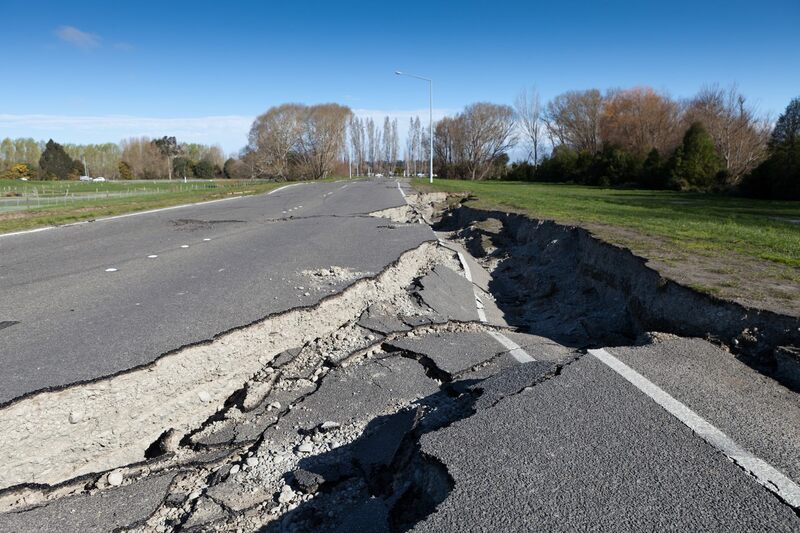 While Mainmark has been using resin injection techniques in New Zealand since 2001, it was only after the seismic events of 2010 and 2011 that it was used in a large-scale capacity, often in combination with other innovative technologies such as JOG Computer-Controlled Grouting. 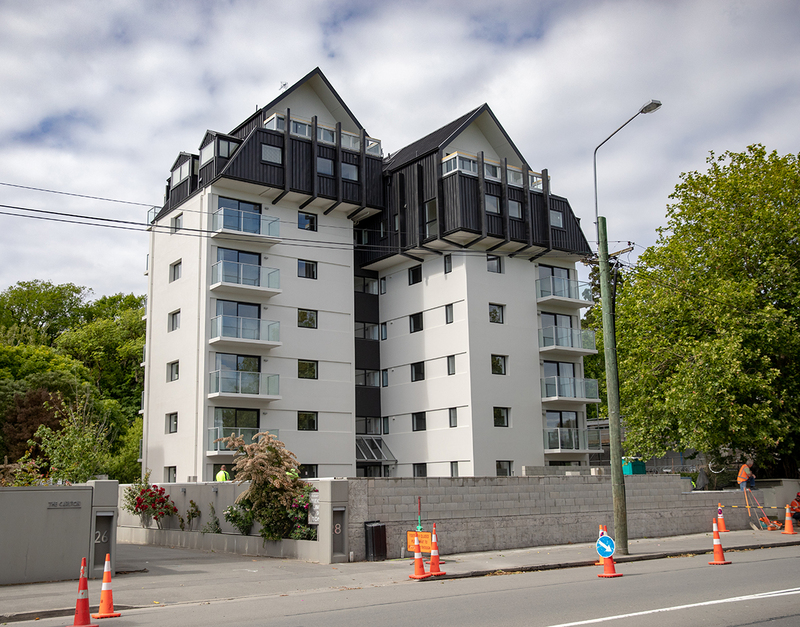 This includes the successful completion of thousands of projects in Christchurch alone, ranging from re-levelling hundreds of residential homes, multi-storey buildings, civil and infrastructure assets, as well as the Christchurch Art Gallery. This major project saw Mainmark receive global recognition, winning International Project of the Year at the 2016 Ground Engineering Awards in London. What has Mainmark learned from working in seismic regions and what is Mainmark doing differently? Mainmark has used its experience working in Christchurch to continually develop new technologies and solutions. It has successfully raised the bar in areas such as computer-controlled level correction and automated real time monitoring, as well as undertaking important scientific research trials with New Zealand regulatory authorities within the Christchurch ‘Red Zone’. The objective of this research is to prove a retrofit liquefaction mitigation solution that has already been successfully used at a large retail space where the building was brought back to 100 per cent NBS. Which new or emerging ground engineering innovations are you most excited about? Mainmark is launching several exciting new solutions and technologies which include Terefil™, an advanced lightweight cementitious void fill; STRAAM (Structural Risk Assessment and Management) a technology that establishes a building’s dynamic signature or “heartbeat” and provides real-time reports that accurately assess the stiffness of a structure; Teretek®, a new proprietary engineered resin solution; and a revolutionary Liquefaction Mitigation process for seismic locations. All of these new offerings provide significant advantages to earthquake-prone regions and construction industries to help assess and address the structural and ground integrity of existing structures and deliver enhanced safety. What do you consider to be a highlight project for Mainmark to date? There are two projects that have been recent highlights for Mainmark New Zealand. The re-levelling of the Christchurch Art Gallery was a particularly rewarding project that allowed us to demonstrate our extensive capabilities and develop advanced technology solutions that were specifically designed to address the challenges of this project. Our team was rewarded by winning the international ground engineering award in London earlier this year. 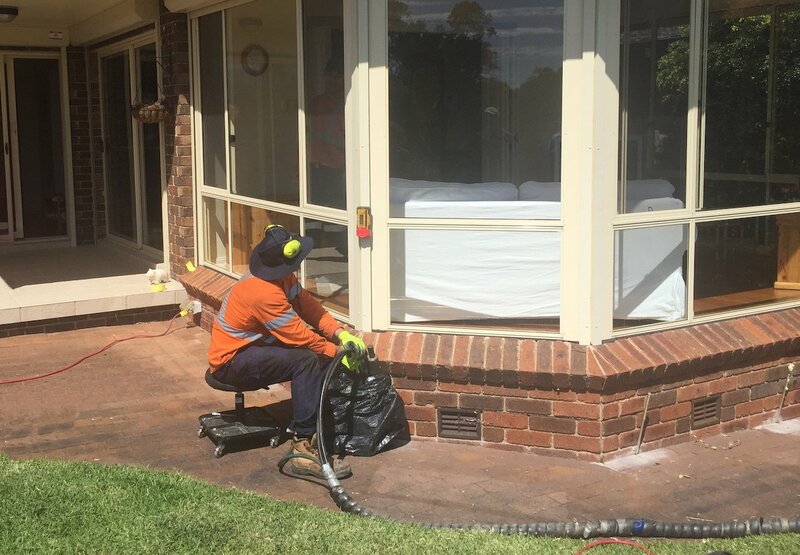 The second highlight has been a recent project we completed for Northwood Supa Centa where Mainmark applied a liquefaction mitigation solution to correct ground deformations in liquefaction affected areas within the site. Our objective was to bring the centre back to 100 per cent NBS (New Building Standard) which we successfully achieved. Mainmark’s liquefaction mitigation solution is the only known process in the market that can be applied beneath an existing structure, which makes this project a significant milestone in ground engineering advancement. Which commercial and infrastructure sectors can benefit most from what Mainmark offers? Every sector can benefit from our ground engineering and asset preservation solutions. These include critical infrastructure, public assets, private assets and civil construction in general. What do you consider to be the biggest misconceptions around ground engineering solutions? The engineering industry has a tendency to be conservative which means it can take time for new and innovative ground engineering solutions and technologies to be accepted or adopted. While it is fair to say that this approach is warranted when, in many cases life safety is a primary concern, for a company like Mainmark that is striving to deliver innovation, the slow adoption can also be frustrating. Another misconception is around addressing the ground as well as the structure itself. Generally speaking, often the first place that is assessed when it comes to building strengthening is the building, when in actual fact there is a lot to be gained from addressing the ground supporting it. 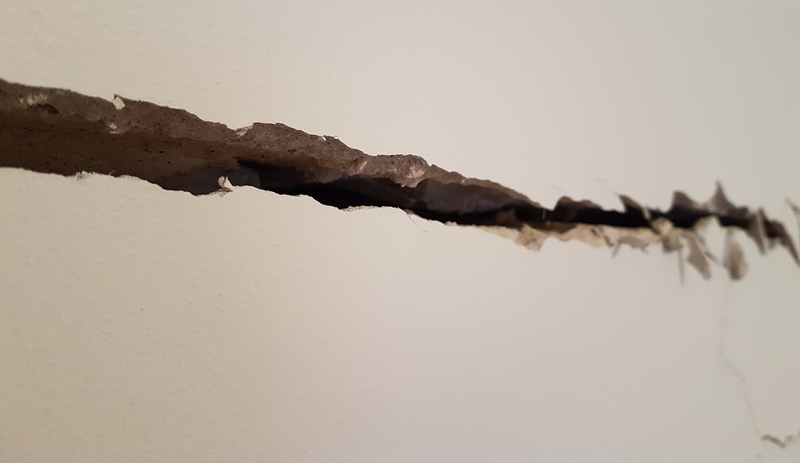 Improving the ground beneath, as well as the existing structure, delivers significant benefits that result in little or no business interruption, loss of tenant income, thanks to very minor impact to the structure during the correction process. Reducing the physical costs of the above ground works and having a safer (higher NBS) building and rating, can result in better rental return and tenancy rates for commercial building owners. Where do you expect to see Mainmark in five years’ time? 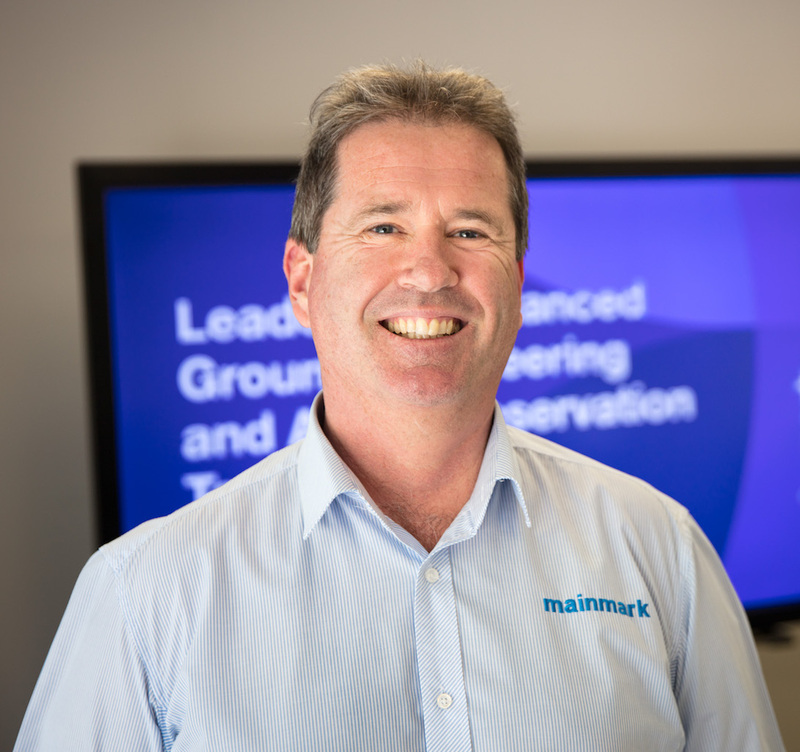 Mainmark is continually developing its capabilities and solutions, particularly when it comes to addressing ground engineering and asset preservation issues arising from seismic events. Some of this expertise, knowledge and innovation, gained from New Zealand, will help us in our strategic vision to further expand business internationally.